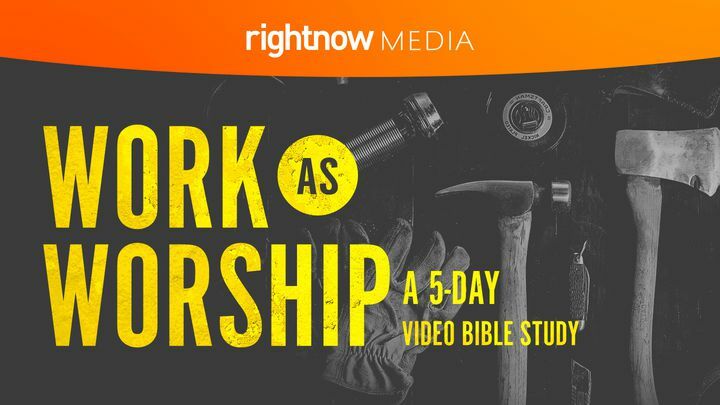 Work as Worship: A 5-Day Video Bible Study - The world tells us that work is just a means to more comfort, more stuff, more me. The entertainment industry and even our misdirected language in the church have hijacked our view of work and belittled it to mundane and meaningless. This 5-day video Bible study is designed to help people see work differently. To help people see their work as an opportunity to worship the God who created them. The world tells us that work is just a means to more comfort, more stuff, more me. The entertainment industry and even our misdirected language in the church have hijacked our view of work and belittled it to mundane and meaningless. This 5-day video Bible study is designed to help people see work differently. To help people see their work as an opportunity to worship the God who created them.